The management of Lagos State University wishes to invite suitably qualified candidates for admission into the Lagos State University School of Basic Dental Nursing for the 2017/2018 session. 2. Conversion Course for Dental Surgery Assistants. -Five credits in SSCE/GCE '0' Level in English Language, Mathematics, Biology, Chemistry & Physics (Combination of results should not be at more than two sittings). -Applicants should bring along pencil, eraser, ruler, pen, original receipt issued by the cashier and certified passport photograph to the examination venue. -Only candidates who have satisfied the conditions for admission will be called for interview. • Course Fee: Details will be provided on admission. -Dental Surgery Assistants with five credits in SSC & GCE '0' Level in English Language, Mathematics, Biology, Chemistry & Physics (Combination of results should not be at more than two sittings). -Dental Surgery Assistants (DSAs) who have received 18-24 months Dental Assistant training in accredited institutions with at least 5 years experience. They are to undergo conversion course for two (2) years. -DSAs in established dental institutions in Nigeria and West African sub region with at least 15 years experience. They are to undergo conversion course for one (1) year. 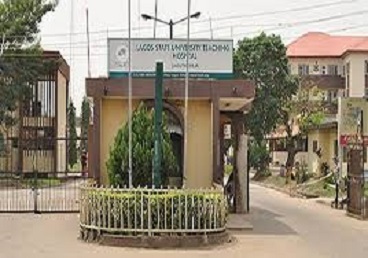 Application forms for both programmes can be obtained with a non-refundable fee of N10,000.00 (Ten thousand naira) only, payable in cash or bank draft (in favour of Lagos University Teaching Hospital) to the Accounts Department, LUTH. The forms are to be collected from and returned to the office of the Coordinator, School of Basic Dental Nursing, prefab Old Dental Block, LUTH, not later than six (6) weeks from the date of this advertisement. ii. Photocopy of relevant credentials as indicated on the application form.